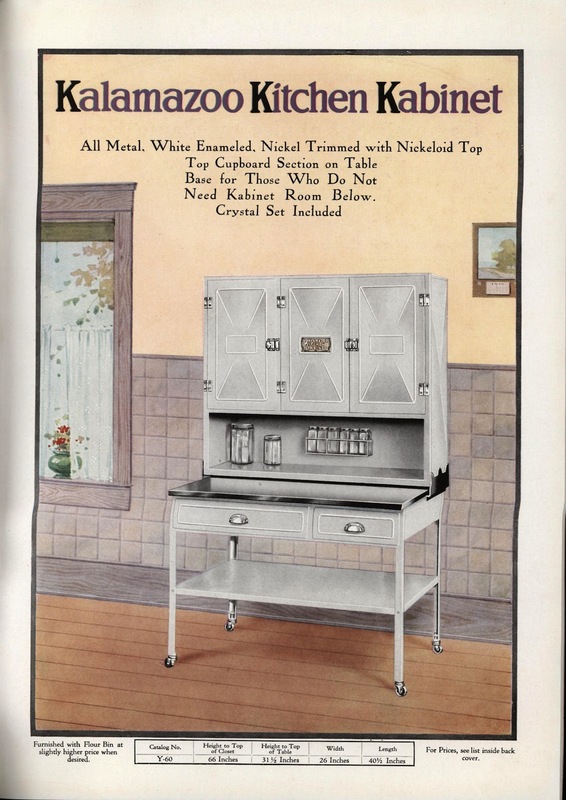 I came across an amazing vintage catalog for free standing kitchen cabinets. 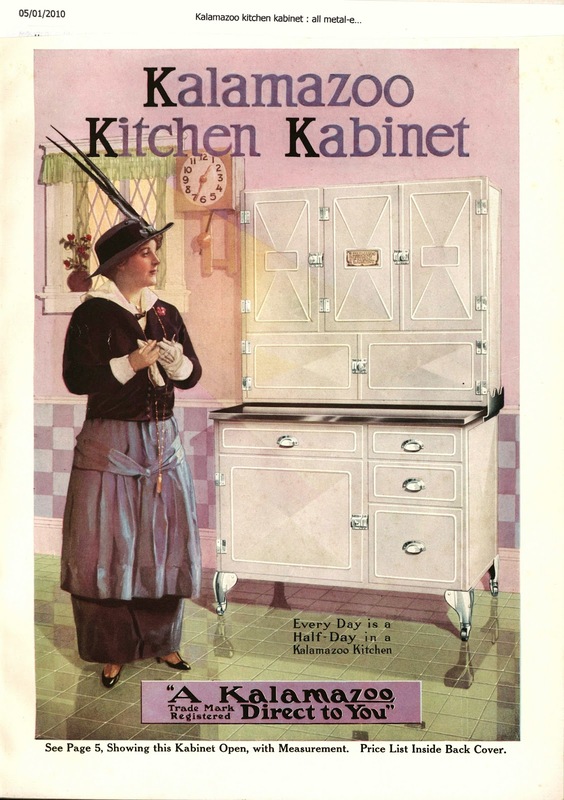 This style of cabinets tend to get called "Hoosier" since it is the most popular name that stuck. 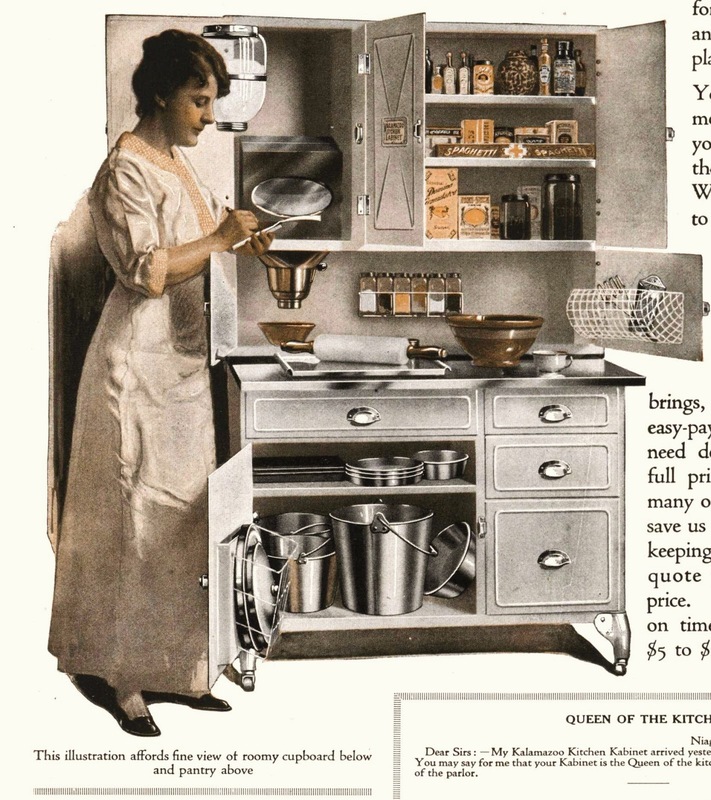 But these cabinets had many manufacturers, making them for decades. These are amazing. The only problem I have found with them... is that I am too tall for these pretty girls. I bet the average height for a lady at this time period was 4'10-5'1. As I was flipping through the catalog looking at the glorious pictures... 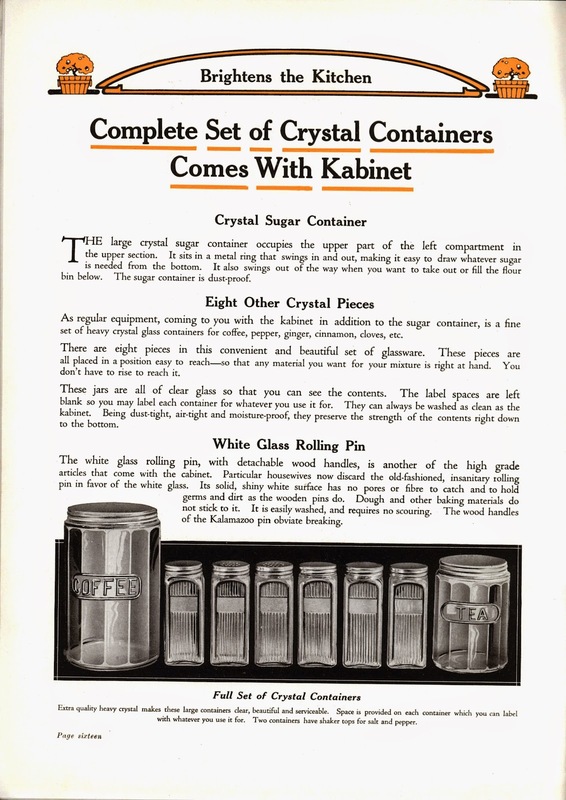 I notice this was the cabinet that came with the round ridged glass jars. 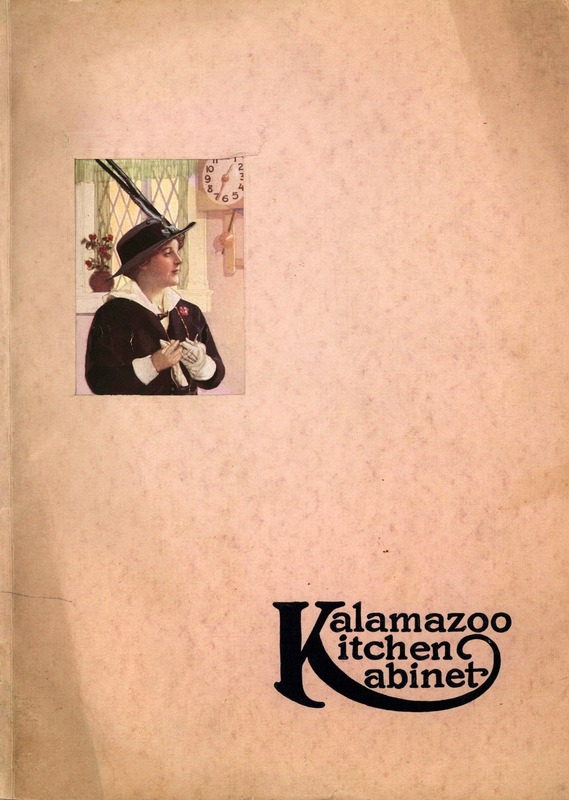 Kalamazoo Kabinets must have sold a ton of these baker cabinets. Because I have seen oodles of these round tea and coffee jars to buy. 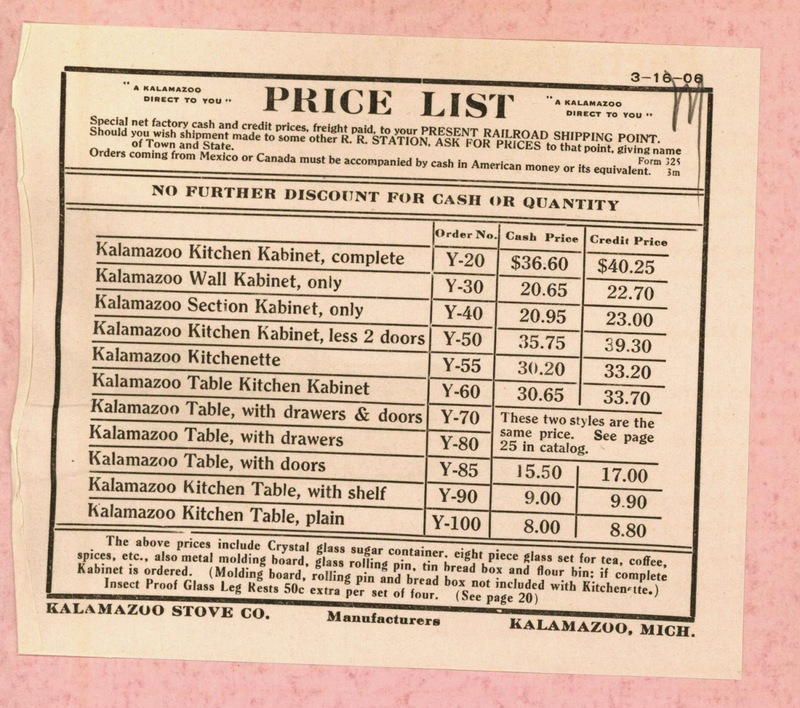 Luckily, this catalog came with its price guide. And the acceptable payment plans that the company offered. 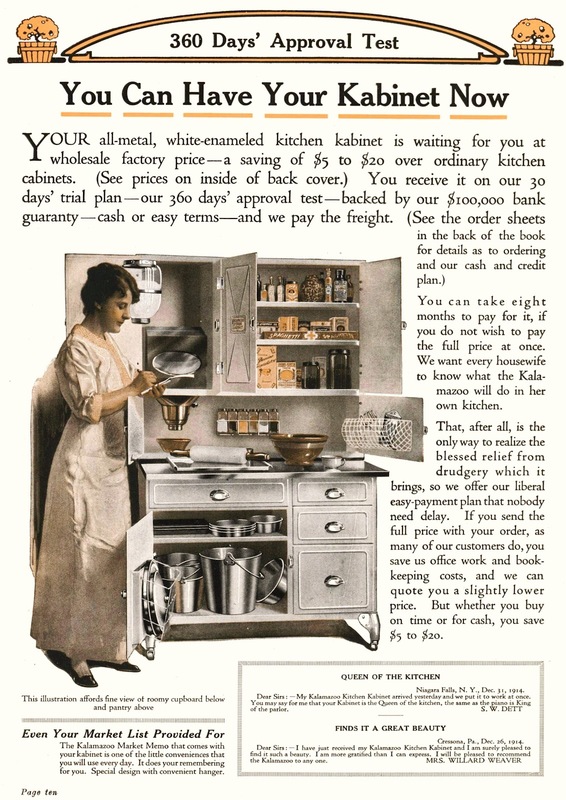 The cabinets have their inventory numbers listed with them... so you can match them up to their price. 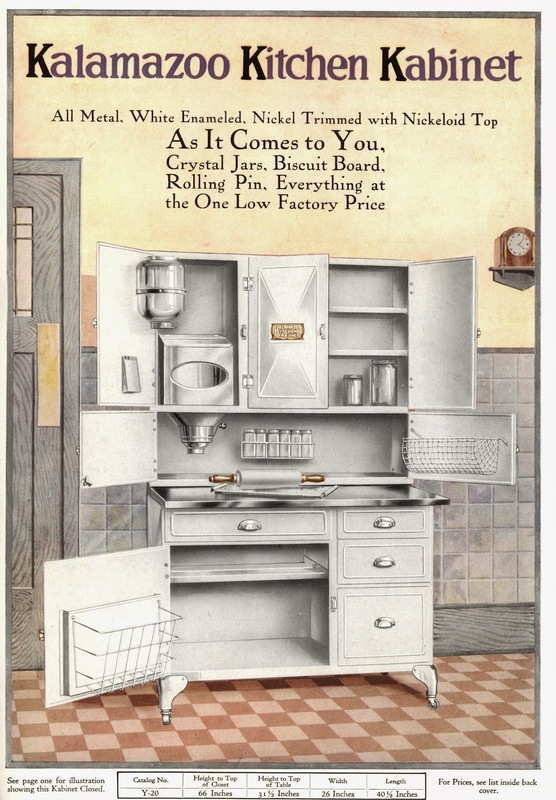 If you desired the fully loaded cabinets with all the glass goodies... for $40.25.... that cash figure equals roughly $723.00 today. Wow.